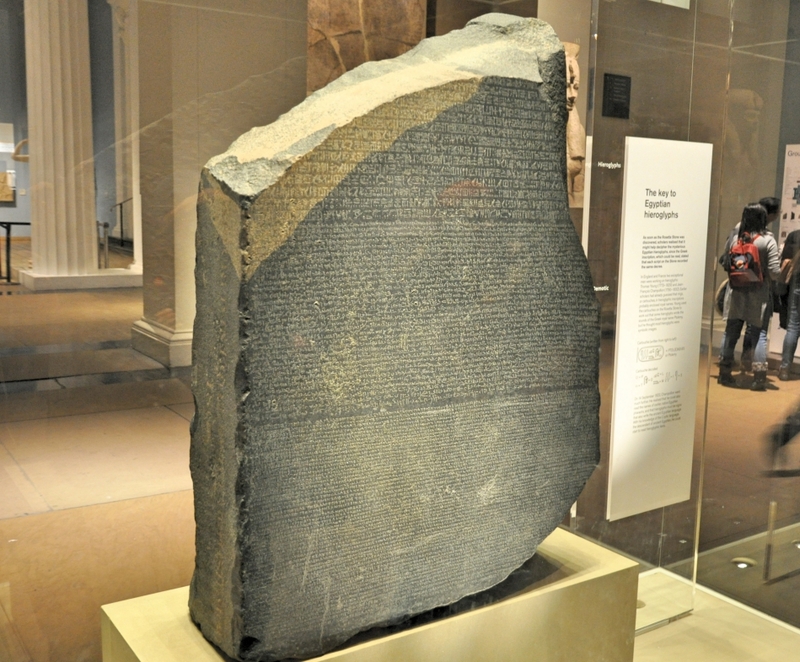 Rosetta Stone. Photo by Leon Mauldin. British Museum. Today I had opportunity in the British Museum to photograph numerous biblical and historical artifacts, including the Rosetta Stone. The inscriptions on this stone turned out to be the key to deciphering Egyptian Hieroglyphics as well as the ancient Egyptians Demotic language. This entry was posted on Monday, January 8th, 2018 at 2:50 PM and is filed under Bible History and Geography, Egypt. You can follow any responses to this entry through the RSS 2.0 feed. You can leave a response, or trackback from your own site.